James Thomas grew up in a household where architectural design was evident everywhere. His father was an architect and his grandfather was an engineer who founded a unit paving company called Noah Light. Following his high school graduation, Thomas travelled and then went back to school hoping to study planning. After a year studying geography and environmental studies, Thomas was accepted into planning school. During his undergraduate studies, he worked for the Ministry of Natural Resources in Northwestern Ontario doing lake management planning. In 1977, he graduated from the University of Waterloo with a Bachelor of Environmental Studies (Hons.) and Urban and Regional Planning. He then worked as a project manager for the Rainy River Community Employment Strategy in Fort Frances, Ontario, from 1978 to 1979, and as a planning consultant for the Business Improvement Association in Fort Frances from 1979 to 1980. Thomas was interested in the work of Landscape Architect Ian McHarg and Geographic Information Systems. As a result, he moved to Manitoba and began to pursue a Master in Landscape Architecture at the University of Manitoba. Graduating in 1983, Thomas’s practicum, Lakescape: Guidelines for the Planning and Design of Lake-Oriented Seasonal Home Development in Manitoba, looked at the phenomenon that is the summer cottage. He proposed a set of guidelines for the planning of new lakeside developments as well as guidelines for the rehabilitations of already developed lakes. In 1980, while working on his Masters, he began working for Hilderman Witty Crosby Hanna & Associates, the Winnipeg based landscape architecture firm that was founded by Garry Hilderman, originally called Garry Hilderman & Associates. Thomas continued to work at Hilderman Witty Crosby Hanna & Associates and was made an Associate in 1985 and a Principal by 1988. Along with landscape architects Jeffrey Frank and Heather Cram, he acquired greater responsibilities within the firm and in 1997 the name of the firm changed to Hilderman Thomas Frank Cram. Thomas has remained with the firm, whose name has since changed to HTFC Planning & Design, for more than 35 years and has acquired a reputation for his unique grasp of the big picture landscape. The firm is also known for its long-term relationships with communities. One of Thomas’s first projects was a community plan for Cross Lake. Thirty-five years later, he and the firm are still doing community planning for Cross Lake. Thomas’s interest in human and cultural relationships with the land has led him to work closely with Indigenous communities on land claims and settlements in Manitoba and across Canada. He has stated that working with Indigenous communities accounts for some of his biggest and most satisfying projects. An example is his work on the Rainy River First Nations Land Claim, a project spanning from 1993 to 2005. Thomas and HTFC Planning & Design worked with the Rainy River First Nations on their outstanding surrender land claim, which focused on 46,000 acres of reserve lands that had been taken from the First Nations in 1914-1915. Thomas also worked on The Peguis First Nation Surrender Claim and Peguis Treaty Land Entitlement Claim from 1999 to 2010. These projects were three of the largest settlements in Canada and resulted in more than 213,000 acres of replacement land. As a result, the firm established a national reputation. Thomas was awarded a CSLA National Honour Award for the work on the negotiation, analysis, and implementation of these aboriginal land claims. His expertise is in community and regional planning and Indigenous planning. Thomas's skills also include, but are not limited to, cultural and heritage landscapes, parks planning and design, First Nations development, watershed planning, and lake management planning. In addition to the notable works listed above, Thomas has worked on the Northern Flood Committee Land Exchange and Land Use Study from 1982 to 1983 and the York Factory Exchange and Land Entitlement Study in 1985. He has been involved in community planning for First Nations communities such as Cross Lake, Norway House, Split Lake, and Tadoule Lake. In addition to his work with Indigenous communities, Thomas has been involved in several studies and plans conducted for lakes and rivers in Manitoba, Ontario, and Saskatchewan. His experience with carrying capacity studies dates back to his experience as an undergraduate summer student working for the Ministry of Natural Resources. He continued this type of work well into his career. For example, Thomas worked on the Lake Minnewasta Carrying Capacity Study, which examined the existing and potential uses of Lake Minnewasta, located in Southern Manitoba, and its surrounding lands. Other projects include the Manitoba Systems Study for the Canadian Heritage Rivers System, the Whiteshell Provincial Park Lake Carrying Capacity Study, and the Turtle River-White Otter Provincal Park Recreation Inventory. Since 2002, Thomas has been leading the HTFC team on the York Factory First Nation evaluations for the Keeyask and Conawapa hydro generation projects, a collaboration with the York Factory First Nations to assess and evaluate the hydroelectric projects in northern Manitoba. Thomas’s work on this project, titled “Kipekiskwaywinam: Our Voices – York Factory First Nation’s Evaluation and Assessment of the Keeyask Generation Project,” resulted in a CSLA National Merit Award which Thomas received in 2015. Equally important to his work with HTFC Planning & Design, Thomas has been an active member in the architectural community in Manitoba. From 1993 to 1994, he was an Adjunct Professor in the Department of Landscape Architecture at the University of Manitoba and from 1994 to 1995, Thomas was a lecturer for the Department of Environmental Design at the same university. Since 1997, Thomas continues to be a Lecturer for the university's Faculty of Architecture. 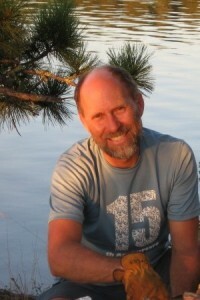 He has presented and been a panelist at the CSLA Congresses and regularly speaks at conferences, including the Canadian River Heritage Conference and the Innate Terrain Symposium at the University of Toronto. Further, Thomas holds many professional affiliations. He is a member of the Canadian Institute of Planners, the Manitoba Professional Planners Institute, and the Manitoba Association of Landscape Architects. Thomas is also a fellow-elect of the Canadian Society of Landscape Architects. In his spare time, Thomas enjoys participating in outdoor activities. He has competed at the Canadian National Championships and has completed two Ironman races. Thomas, James. “Lakescape: Guidelines for the Planning and Design of Lake-Oriented Seasonal Home Development in Manitoba.” Practicum. University of Manitoba, Faculty of Architecture, Department of Landscape Architecture, 1983. “Resolve: Negotiation & Implementation of Aboriginal Land Claims.” Landscapes/Paysages (2012): 26-27.